My second May Mash Up with 5034 Events and very successful it was too with plenty of sunshine! Lots of rave reviews from the 120 cyclists we fed and watered at the mid-feed station point 62 miles in. 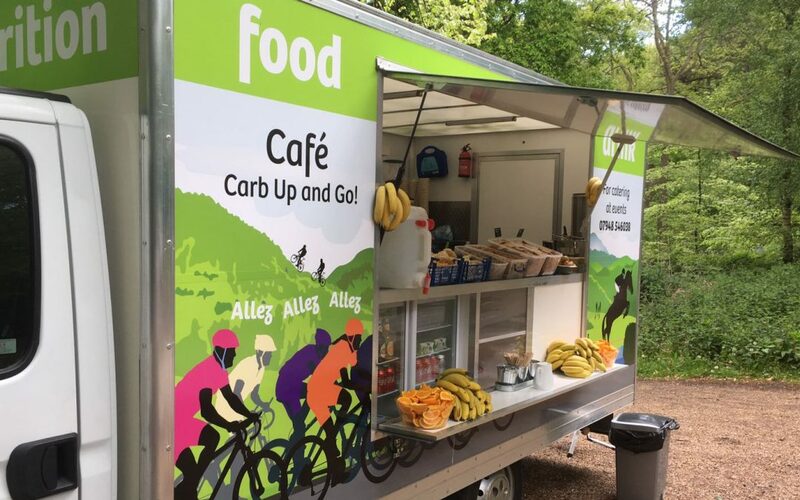 The AllezNutrition sportive menu always goes down a treat; lots of good quality carbohydrate with an even split of savoury and sweet options; the salted new potatoes and orange quarters being particularly popular. Sold a few cokes too for that extra caffeine hit!